Bigfoot Lunch Club is proud to announce the debut of a new Bigfoot documentary that will be screened exclusively at BLC's new Bigfoot speaker series, HopsSquatch. 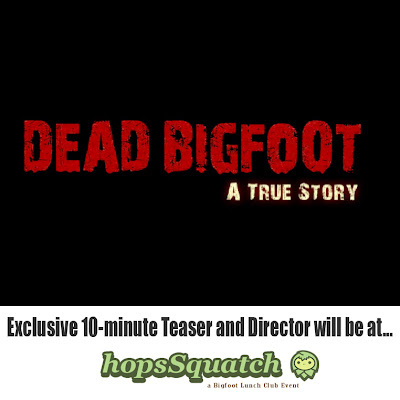 Along with Cliff Barackman headlining the main event, we have the distinct honor of screening a 10-minute teaser of Dead Bigfoot: A True Story by Ro Sahebi. Fans, we are in for a treat! Mr. Sahebi has a distinctive pace and a way of storytelling that is so engaging, you won't have time to realize your being entertained and informed at the same time. You really don't have to take our word for it you can watch his previous Extinct? Short Documentaries. 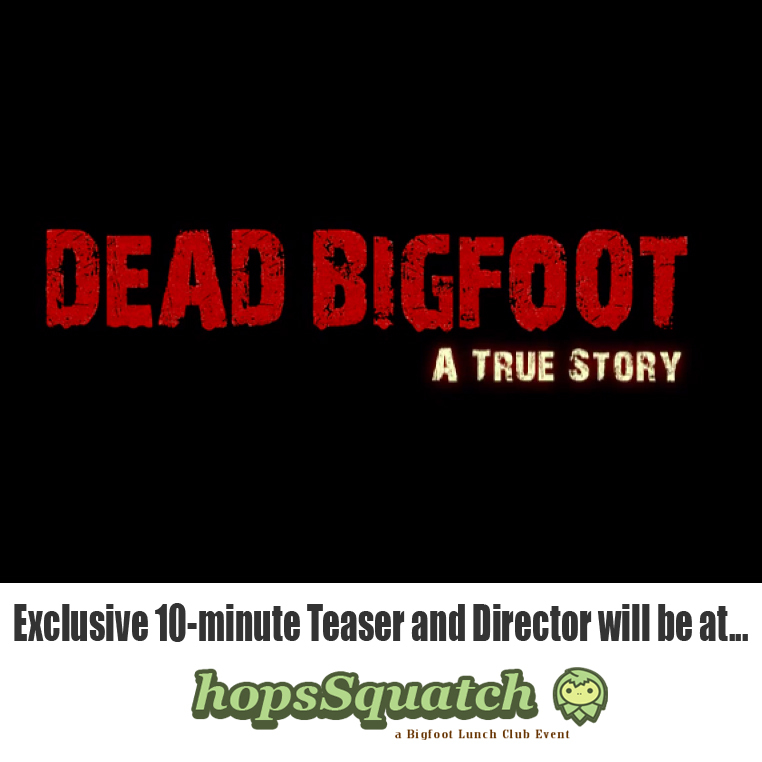 Get the details below and watch the suspenseful DEAD BIGFOOT trailer exclusive to Bigfoot Lunch Club. In October of 2010, 2 young hunters shot a 7 foot tall animal they could not identify. It stood upright and walked like a man. Dead Bigfoot: A True Story, chronicles the events that followed the shooting in an attempt to learn more about the hunters involved and the alleged creature they shot. Ro Sahebi is a multimedia professional from the Los Angeles area and editor of theBigfootReport.com. He quickly made a name for himself as the producer and creator of the EXTINCT? Podcast and web series. The podcast hit the number one "New and Noteworthy" position in the iTunes Natural Science section shortly after its launch. After interviewing Justin Smeja for the movie "I Killed Bigfoot", he initiated the documented polygraph exam featured in the short film," The Examination" which lead to the feature film "Dead Bigfoot: A True Story" due on pay-per-view SUMMER 2013. His background as a musician and filmmaker brings a fresh perspective to the field, delivering quality professional content rarely seen in the Bigfoot community.